Lime is called Chuna in Hindi. The edible-lime used on Paan is called 'Paan Chuna'. Edible lime is also known as Pickling-lime. "Lagao" is a super fine quality chuna, very carefully processed & filtered to give the creamy texture & the whiteness. Keeping in mind, variegated demands of our valuable customers, we are offering Calcined Limestone. 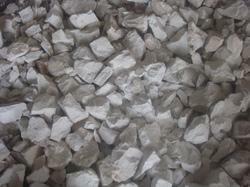 Being a customer oriented organization, we are deeply engaged in offering a wide array of Calcined Lime. Keeping in mind the ever-evolving needs of our clients, we are devoted towards offering an optimum quality array of Calcined Lime. With the used of modern and sophisticated technology, we are engaged in offering 70-80% Calcined Lime Chuna. Application: Iron and Steel Industry, Sugar Industry, Paper Industry, Aluminium Refineries, etc. We are highly acclaimed in this industry for providing an optimum quality range of Calcined Lime. We are the renowned names of premium quality Calcined Lime. 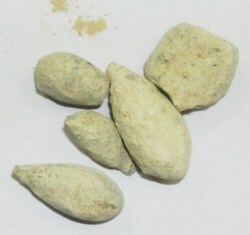 In addition to this, the offered calcined lime is packed with high precision to ensure its purity for a longer period.